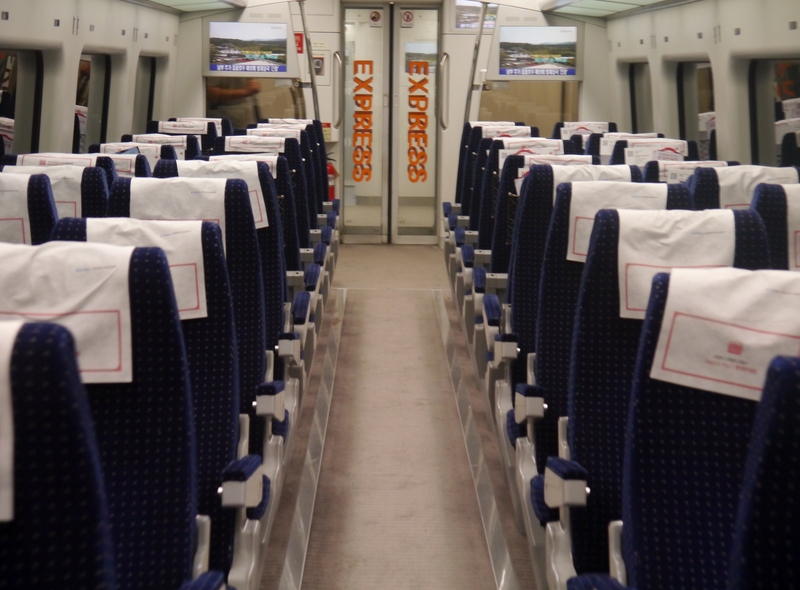 I found that the Airport Express train from Incheon International Airport to downtown Seoul has fixed departure times with around 30 minutes interval, I booked a ticket for the next trip and used the waiting time to check which station should I alight. I had the list (in my head) of the attractions to see. I took the map out of my sling bag and wondered which way to go; I consulted the airport concierge for directions. I didn’t mind getting lost if only I had ample time to stay and didn’t intend to go back to airport at around 7 PM. The airport staff patiently responded to all my questions while encircling all the stations of my interest. Sadly, after I calculated the number of hours I need to spend, including some buffer in case I can’t find my way, versus the limited time I have before I fly to Las Vegas, I decided to see my best two choices. 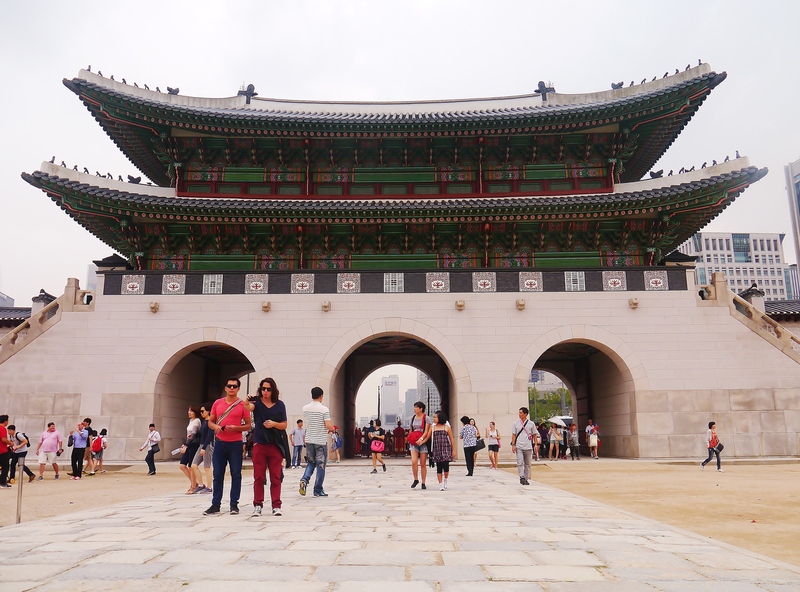 I picked Gyeongbokgung Palace and the love locks at the N Seoul Tower. 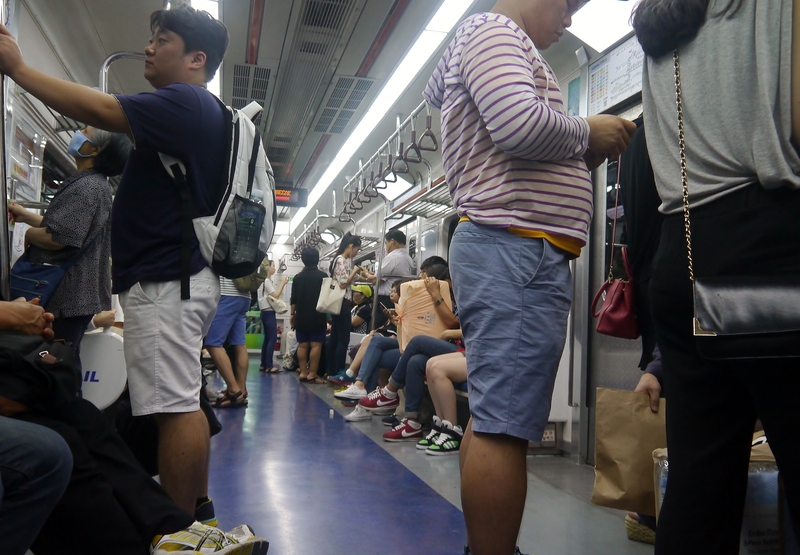 Right on time, a few minutes before the next train to Seoul departs, I ran out of questions to throw to the lovely crew, I guess I had figured everything out somehow. It costed me 8000 Korean won for the express train ticket (they use an easy conversion of 1000 KRW = 1 USD). This is 3000 won more expensive than the normal subway train ticket as it doesn’t stop on every station, hence express. This is pretty convenient for those who are in the “so many things, so little time” situation. With few seats unoccupied (made me use the vacant seat beside mine), the train made me feel comfortable during the half hour ride. I gazed at the view of the city from my window seat while I listened to my all-time favorite Up Dharma Down songs in my playlist and hummed the songs occasionally. 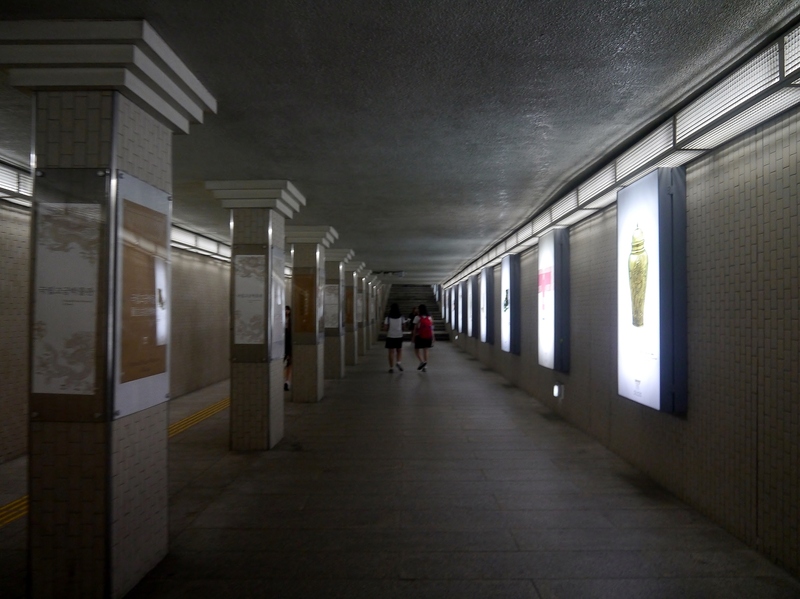 I firstly disembarked at Seoul Station where 4 subway lines intersect. The subway station is too big for a little girl like me with the crowd not minding each others’ businesses. The puzzled lady in me took a while to look for line 1 so I can transfer to Gyeongbokgung station of line 3 from Jongno 3. 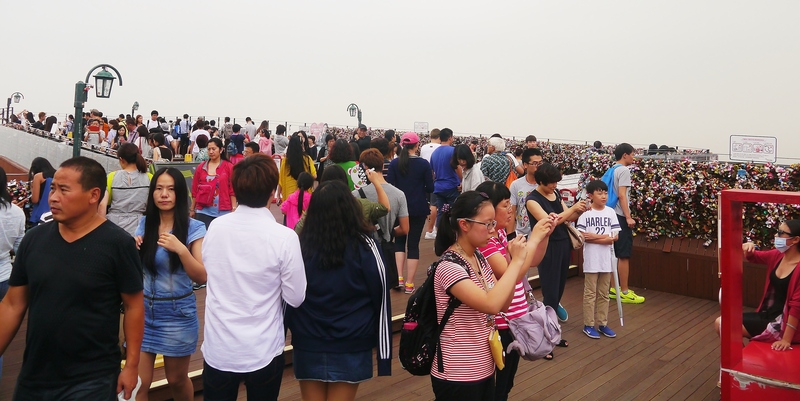 I spent more than an hour travelling from airport to the first destination, the endless marching and subway transfers made me both excited and peevish to see the attraction. 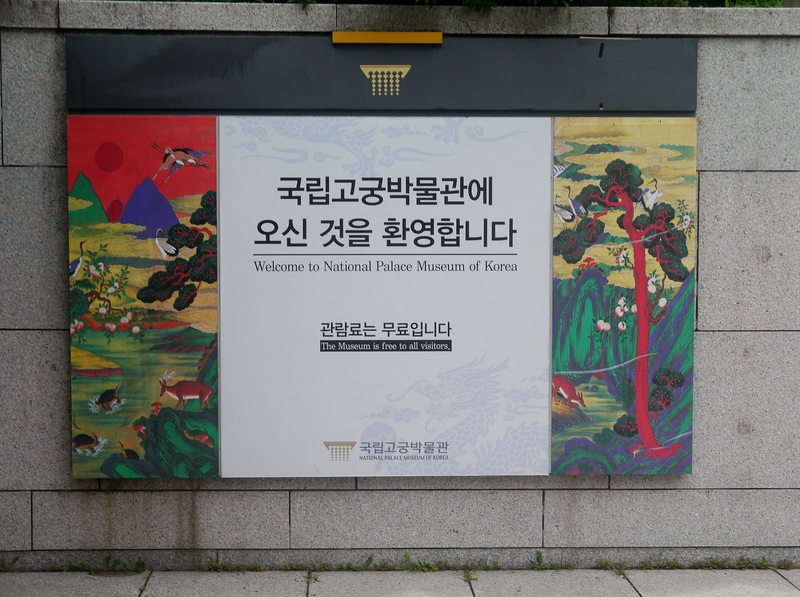 After a few walks on the subway alleys, I finally reached the grandest palace in Seoul located between two worlds of mountain rolls and modern community of glass buildings and busy highways. 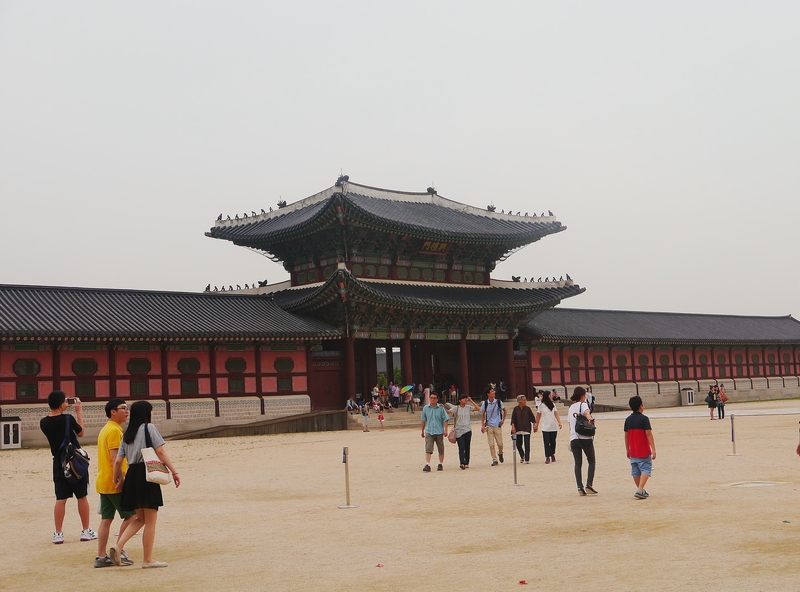 The exteriors of the Gyeongbokgung Palace or “Palace of Shining Happiness” blew me away at that instant. I’ve seen Korean TV drama shows aired in the Philippines (they’re pretty viral in my hometown by the way) that featured South Korea’s culture and heritage like Jewel in the Palace, but seeing the facade of this historical architecture in person still left me starstruck. 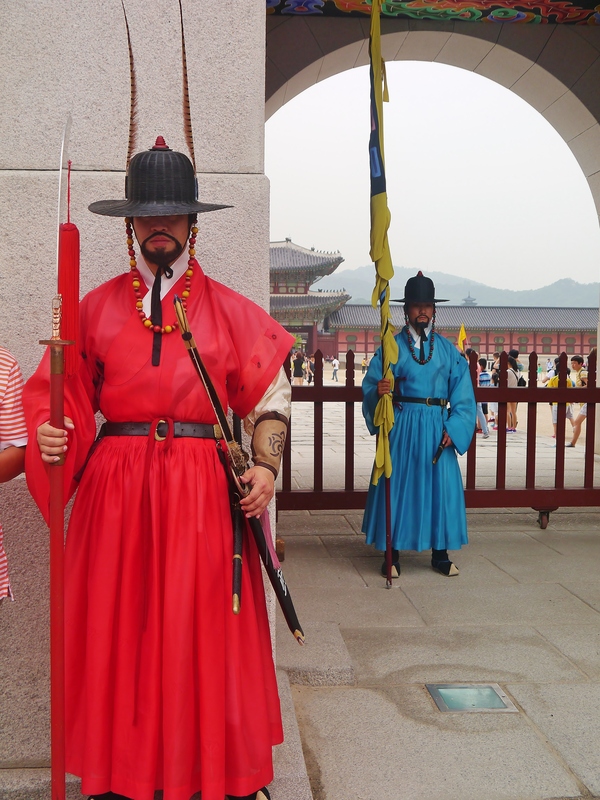 I took photos from all spots I found to be interesting including the palace guards with serious faces and those who marched like in a parade (not sure though if that was a show for tourists or really a routinely drill). 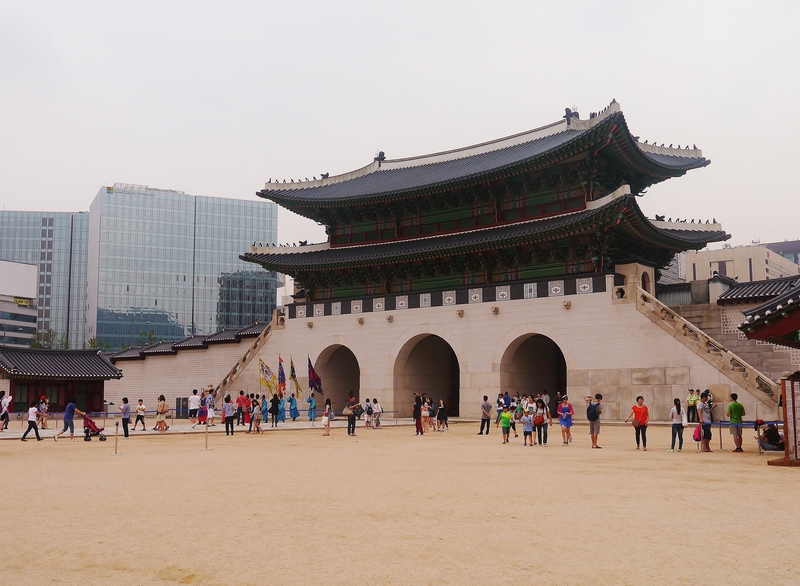 I also strolled outside the palace just to quickly check how the busy streets looked like and to have a feel somehow of the city life in case I find myself having a corporate job in Seoul. Hehe. . I looked at my watch, counted the number of hours left over and over again, then decided to continue my afternoon wanders. Meaning i didn’t get to see the insides of the museum. 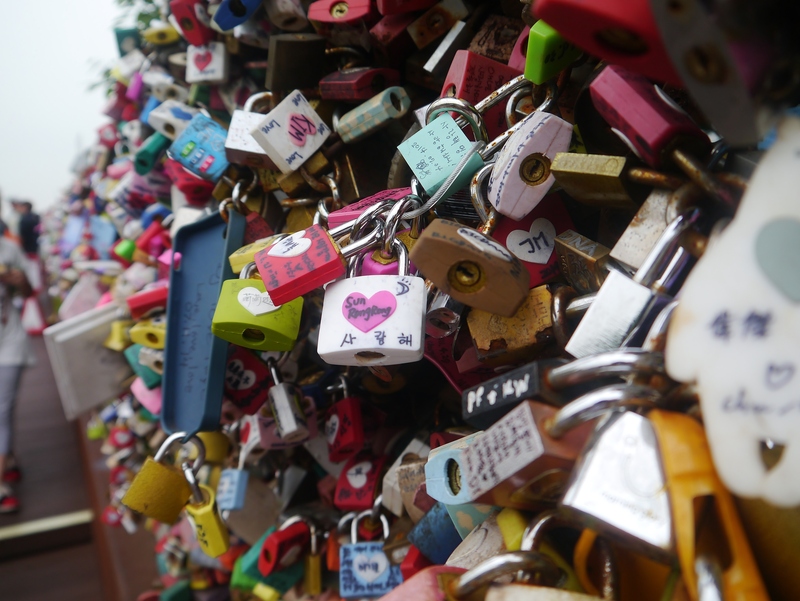 I know it’s such a hapless situation but I am very eager to see the love locks to satisfy my hopeless romantic soul. So I hastily went back to subway and took Line 3 to go to Chungmuro where I will be taking the bus that will bring me to the N Seoul Tower. Again, I got some confusions finding my way to the next and last destination. I paid 950 won for the bus ride and trusted the driver he’ll tell me to go off the bus once we arrive at the tower. 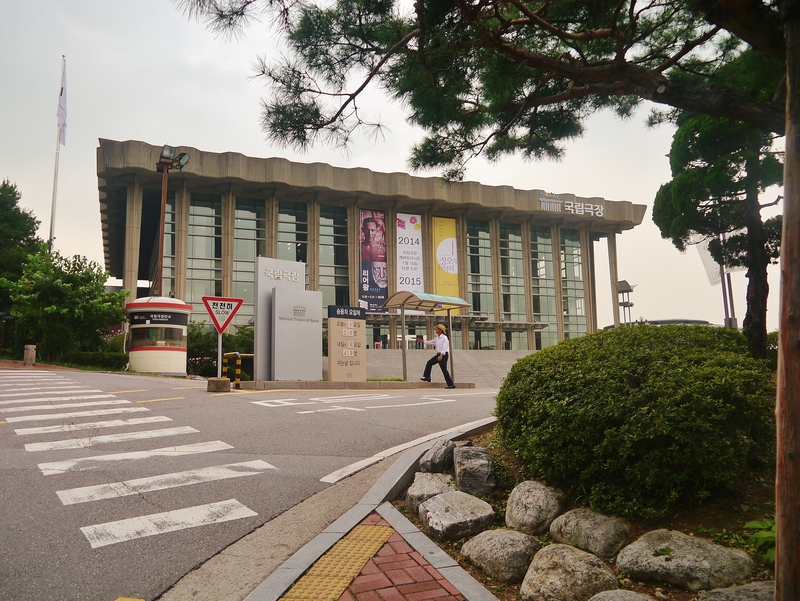 I got super excited and curious about the National Theater of Korea on my way, and mistakenly thought I should be stopping here as the bus seems going somewhere else. I ranted to and hated my stupid self for doing that while I waited for another bus going to N Seoul. As soon as I arrived, I looked for the location of the love locks, but little did I know that going there would need me to carry my more-than-50-kg self and hike roughly for more than 20 minutes (I may be slow, just so you know). It’s good that I wore comfy shoes though they’re not really the whole-day walking pair type like sneakers. I was again getting impatient and patient at the same time. 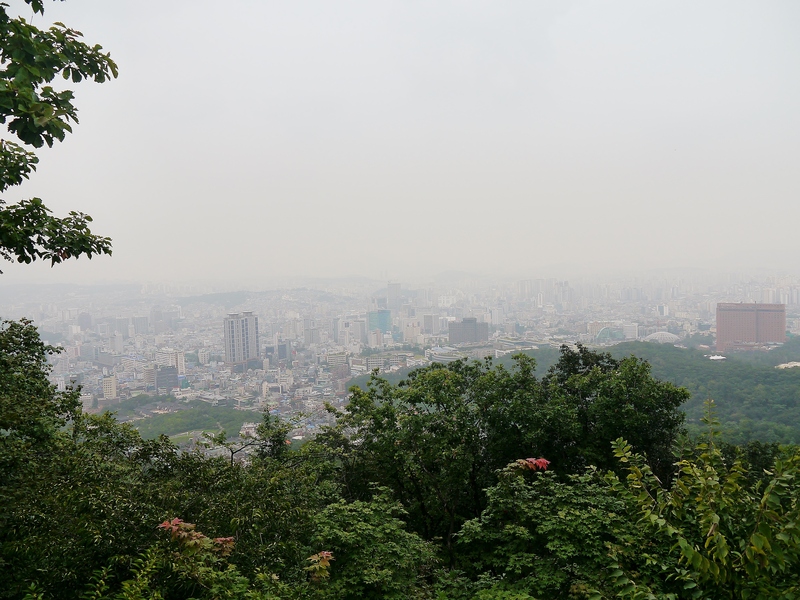 I enjoyed overlooking the city from there while I took some time to catch my breath and rest for a second in the middle of the steep walk. I was pretty speechless when finally saw the love locks. For the second time, Seoul got me starstruck; maybe because this is the first time I’m seeing such. 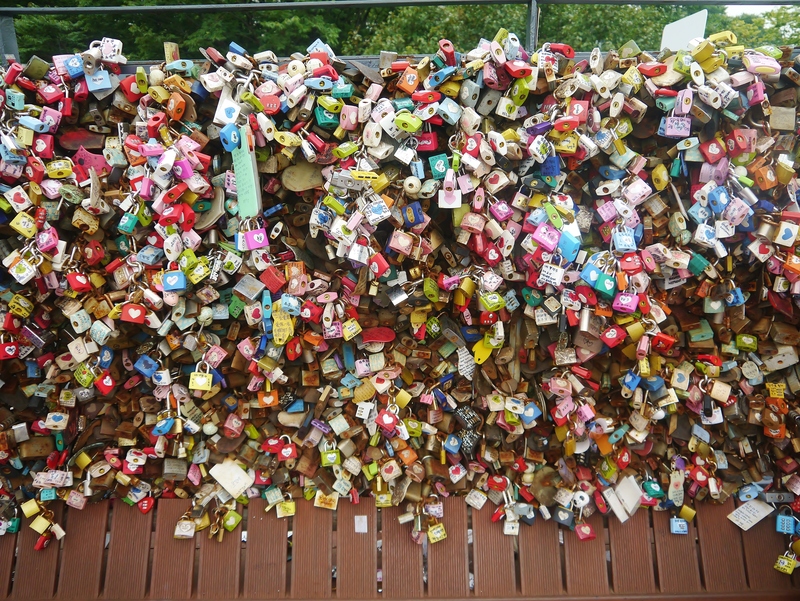 I cannot read the messages on the locks as most that I’ve seen, if not all, were in Korean calligraphy but the thought that those were love wishes declared and written by couples who are deeply in love fed the romantic Shakespeare fan in my head. I wanted to buy a lock if only I was with my prince charming. hehe. . I promised myself to do that in Pont Des Arts in Paris (if i can find a boyfriend before I book a flight and go, haha!). After taking photos of this destination, I felt at ease and told myself I am done with my trip, I can now go, with a well-pleased heart, back to the airport. 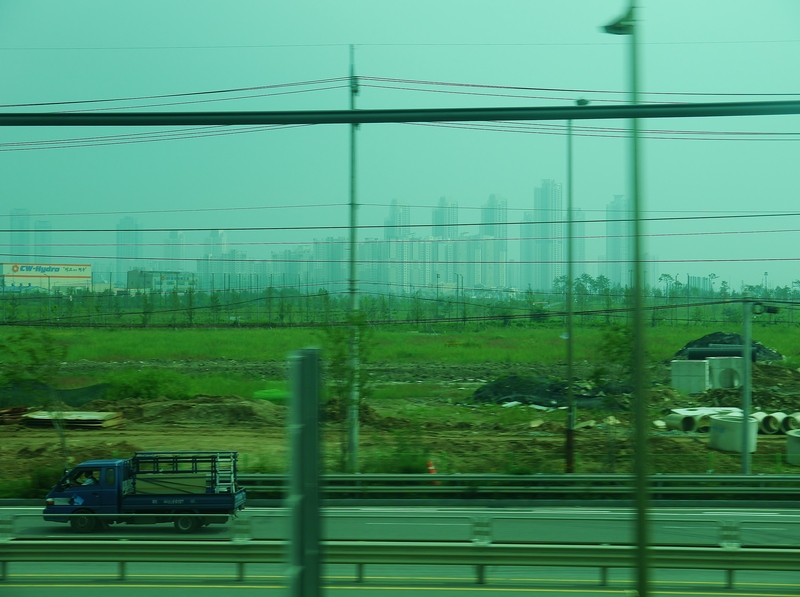 The bus going down and back to Seoul station was pretty hard to find. No taxi cabs too. . I got scared of not making it on time before the airport boarding gates close. I thought maybe I wasn’t meant to fly to Vegas! Nooo! Or maybe the gods of time just wanted to test how bad my panic disorder is. Hehe. . I wasted 30 precious minutes waiting for the bus just to find out that the express train from Seoul station back to airport I targeted to ride just left. The interval was 30 minutes so I decided to take the normal subway train which took me almost an hour. I was praying silently inside the train, praying hard in my head and wished that the Vegas air ticket I purchased months ago doesn’t go to waste. As soon as I got off the train, I ran like a horse inside the airport to get my back pack. Realizing I have a little more than 15 minutes before the boarding time, I refreshed at the ladies room for a while, changed clothes and texted my mom I was about to exit South Korea. The restlessness in me left when I took the seat in front of the boarding gate. 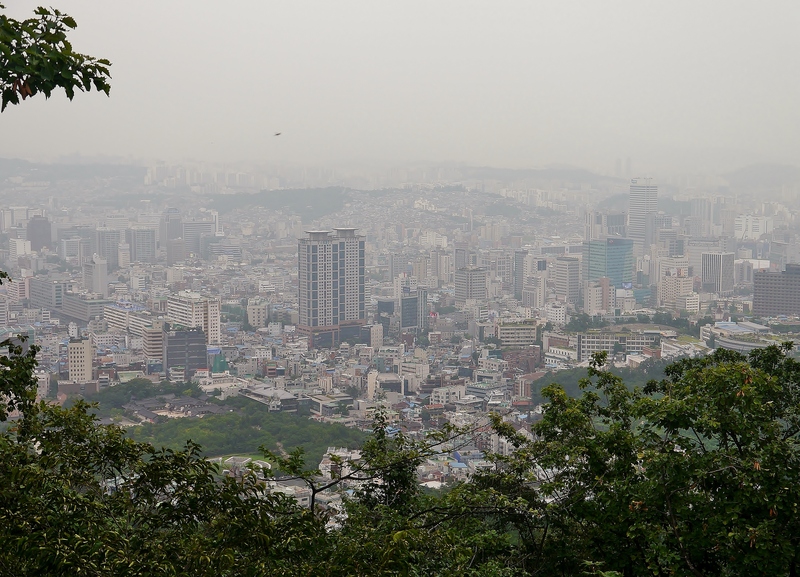 On my window seat of Korean Air flight, I brought out my camera, looked at the photos I took and realized that despite the hassles brought by the limited time and my dull-wittedness in directions, what I’ve seen in the city is beautiful enough to make the trip noteworthy. I may not have the best pictures of Incheon and Seoul but I am more than grateful to have a glimpse of South Korea’s culture as if I were a young girl peeping into a small hole of a very high wall and was genuinely amazed by what she has seen behind the big barrier. With the timings of my wandering unnervingly right, the taste of the authentic bibimbap and Incheon friend chicken in a spicy sauce that is beyond awesome, getting lost, bumping into busy people at the stations and queuing at the train ticket machine just like locals, I must say my layover in South Korea is still perfect. I may be superficial if that’s what you think, but I guess I have learned the art of appreciating places I’ve never been in a very short time considering I’m a full time working person with limited time-offs. Hehe. . Annyeong Seoul, annyeong Incheon, till we see each other again. in one of the subway stations.